How Freight Classification affects Rate? Before we go further into the details on freight class calculator and how the density calculator works. We need to determine the overall weight of the freight to be shipped. But first let us make some basic concepts clear. Therefore, at a very basic level, let us see. Freight classification is use whenever you are working or collaborating with multiple carriers, freight brokers, agents and warehouses. You need to use the concept of Freight Class or freight class calculator. Hence, the freight class is the standardized price determinant on the basis of the weight. Each freight carries using freight class calculator that has to be shipped from the host country to the destined place. The density calculator will help to identify which freight class to choose. In this respect, the National Motor Freight Traffic Association, created a list. Taking into an account all types of goods that are to be shipped has established a freight classification structure. Through this well-organized system of freight classification. The transfer of commodities will be subject to fair and consistent pricing strategies. It is because the freight classification system depicts the well-organized categorization of freight weight and density in groupings. Such groupings are quantified by the price list proposed. The National Motors Classification Tariff, the commonly used abbreviated form of NMCT or the NMFC code is in charge. Ranging from 50 to 500 freight classes, all the commodities that transport via shipping is categorized into 18 groupings. In this respect, while deciding the shipping price rates of the freight that has to be transported. The majority of the carriers, brokers or agent refer to the freight classification chart that provides consistent rates. To obtain such rates density calculator or a freight class calculator is used. Do not confuse the term with Incoterms or FOB. What freight is and how it differs from cargo? Freight is the name given to all commodities, in United States terminology. Commodities that are transported from the place of origin to destination through any medium. Cargo, on the other hand, is the name given to those goods and commodities. This goods are transported by plane or ship. However, within context, freight will mean the commodities. In this case they are transported from the host country to the required destination through the ship. Multiple factors play a vital role when deciding what the estimate rates of the freight would be. First, the volume and weight is factor, and by using of a density calculator freight forwarders can estimate the rate. Second the elements include the functioning economy and all its external influences. The at-the-time present equipment and essentials. Third the availability of the required expertise in the form of truck drivers. More importantly, how much fuel or diesel used during the transportation process should also be taken into account. Keep in mind, it is not always likely that these influences especially the economic ones will be in your control. For example the external environment is always subject to change and unpredictable. Always make sure that you know the weight and volume of your goods. The use measurement tapes, weights and density calculator helps on the process. However, if you harbor accurate freight weight calculation. And on the basis of shipping costs on each and every commodity you wish to transfer. Then things are going to be a lot easier. It is because who are planning, preparing, researching and calculating the shipment cost per freight beforehand. Even if you clearly know authentic and real zip code of the region. The route of your shipment from the origin to the destination could change direction. It is because certain countries are too spread out that and various element especially the factor of accessibility and ease of reaching may affect the price rates of freight in the respective zip code. Are you informed about the specifications of delivery and pickups in different locations? Is the business operating in a commercial, business district or in an area that is reserved for residential purposes? Whether the region has availability of a loading dock or is there a need of an appointment? In order to ensure that you do not get burdened with additional charges apart from the consistent freight rates. Then from the freight class list, you need to have all-encompassing know-how about the destination. It is because if your freight reaches its destination. And there is no loading dock to or lift present to unload the freight from the carrier. Then an additional service of a lift gate needs to be employed. This additional service means extra charges. This would make the freight extremely costly. Keep in mind that the additional services are not a part of the freight classification list. As this depicts standardized price rates with respite to freight density. It is because it is presumed that every destination must have a loading dock. So, by keeping such assumption in mind the freight class lists of standardized prices. The NMFC has categorized the price on the basis on the weight of each freight that includes the service of the loading dock. Nevertheless, at certain destinations when there is a need of additional services. You are unaware of it and have set your freight transportation price in accordance with the freight class. Then it would lead you to make adjustments on your proposed price range. This adjustment rate of freight may eat up your bottom-line. How to use Freight class calculator to get freight classification for LTL freight? A lot of aspects need to be taken into consideration. While determining and deducing the accurate representation of freight measurements, its density and the nature of the article of trade itself. The right measurements will tell the carrier service how much space the freight will take in the container or ship. Similarly, deducing the overall weight will tell the carrier whether the freight comes within the range of maximum weight the ship or truck can legally drag. Thus, when both weight and the dimensions of the freight are amalgamated. The resulting figure gives rise to the density of the freight. As a result, the carrier can tell calculate the accurate freight classification for LTL freight by means of the density calculator. Keep in mind that all of these determinants of the density calculator will affect your shipping estimations and appraisals greatly. Furthermore, it is important to note that that the freight’s size in dimensions and the weight also help to set the best shipping mode for your freight. Consequently, the nature of the commodity to be transferred, also needs to be taken in to account. The nature of the commodity decides what type of essentials you need to transfer your shipment. If you are transporting agricultural produce, then you need to transport them in environmentally controlled equipment. And that equipment would ultimately affect your shipping estimated price. How to prepare your LTL shipment? So, if you want the overall freight process reaches its completion successfully. You need to pay particular attention in those domains that play a vital part in aspects. Such as packaging and preparation when using a density calculator and the freight class calculator. What role do the correct measurements of freight size play in successful freight transportation? Measuring the accurate size of the freight sets the mood of an overall freight transportation process. The use of density calculator and freight class calculator is recommended. This allow to get the right density and shipping class code. Once the carrier knows that accurate measurement of the width, height and length of the freight, he can conveniently set the right price estimates of freight. This will eliminate the chances of too many costs and overspending. Furthermore, with the correct dimensions. The carrier will also get an idea of how much freight can fit inside the container. Therefore, it is clear that once you have the right measurements of your price. You can optimize your shipments, build robust relationships with your carriers. As a result the chances of price adjustment that would ruin your whole budget will be circumvented. Keep in mind that during the overall process of LTL shipment, the right documentation at the right time is the crucial aspect. This documentation is commonly recognized as the Bill of landing. This documentation should be reliable and authentic. For the most part, need to be submitted after filing it thoroughly. First to the carrier when the freight is at the pickup or destination point. Moreover, the bill of landing or the abbreviated BOL is considered as the receipt at the point of destination. This receipt is further used as a confirmation slip. In the proceeding parts of the freight process by the carriers and drivers. Make it rule of the thumb that density is the most important factor in determining freight classification. As this factor has a significant impact on class. It is plausible that the cost might be affected as well. So, if we measure the density of the freight with the density calculator. Then you will get the result in pounds per cubic meter of your commodity. According to the maxim of standard calculation. When all other external influences are kept aside. For example higher density commodities are represented in lower freight classes or groupings. As a result, these commodities have a lower price range. The freight classification list that the NMFC code refer is exclusive of all the external influences. This means that they do not take in to account additional services. And adjustments in price that may subsequently affect the classes and prices of freight. This factor governs the dragging or stowing capability of a respective item of trade. Under this factor, the carriers need to decide the freight classification price on the basis of the convenience of stowing the item. The easiness of item stowing depends on whether the item is fragile, hazardous or has some unusual measurements. Furthermore, this factor also takes in to notice such items. They are under government regulation or carrier’s monitoring. Those who are not fit to be transported along with multiple items in a single go. Therefore, the concept of the stow-ability factor is simple. If it is harder to carry the item in comparison to other articles of trade. Then this item will exacerbate the freight class and subsequently the cost of transferring. This factor of commodity handling is always taken into consideration. First when the freight is loaded from LFT terminal of the host country. Then when is unloaded at the LFT terminal of the country of destination. So in order to realize what elements determine the freight class. How fragile is the commodity? Type of packaging is used? Therefore, once you respond to these question. Then it will be easier to draw a relationship between freight class and the handling factor. So, if the handling of the commodity is difficult. This commodity will increase the freight class. As a result, the price of this freight will go sky-rocketing. This factor takes in to account the complex details of freight transportation. This factor entails the carriers to take notice of which items of trade are perishable. Also if is fragile, need to be handled with care. If the commodity can be stolen. Also if it has a high risk damaging other commodities on the ship. Therefore, it is evident that if the risk of liability and accountability of these commodities is higher. Then freight class of such items will be higher. Consequently, the price of such commodities transportation will increase. Therefore, it is important to take in to notice these factors. And take in consideration the maxims that govern the freight class. This affect the freight classification system set by the NMFC. 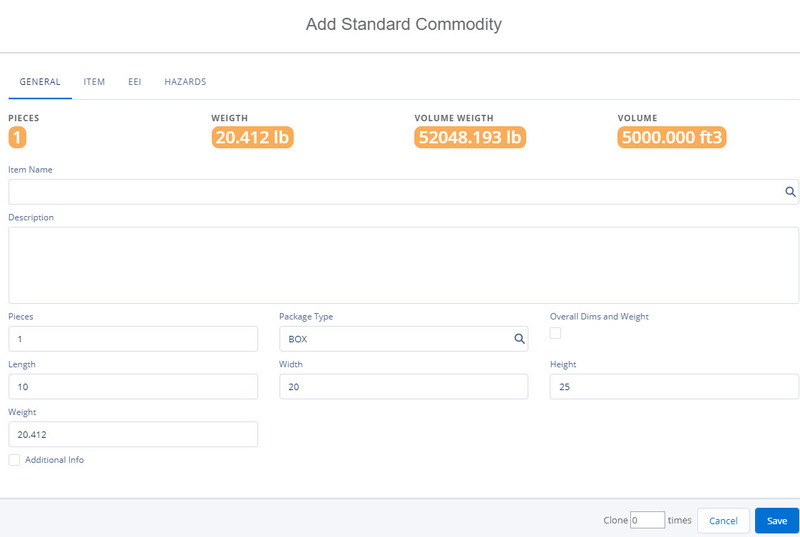 Moreover, the density calculator or freight class calculator that measures the weight of the commodity. This should also be used at the time of freight transportation. So that the risk of overspending and too much cost can be eradicated.